Hey all! I hope you had a wonderful weekend. I spent the first night away from the babe this weekend. It was super hard leaving her and in the car my gut was tied into knots and flipping around in circles, but as the day and night progressed it went a lot better than I had thought :) I was sure happy to see her face when I got home though! 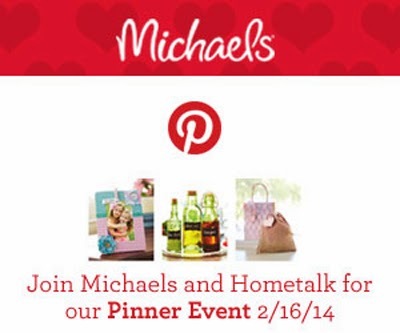 Okay, on with business :) I'll be hosting a Pinterest Party with Hometalk and Michael's this Sunday! If you are around about where I'm located, I would love to meet your face :) More details along with some awesome giveaways at the bottom of this post! This will be one of the projects I'll have on display; and if you like it, I'll help you make it! And if you don't like it...well, we have other problems :) Just kidding. You don't have to pick this project though, there are tons and tons of other projects to choose from and to give your own twist to. 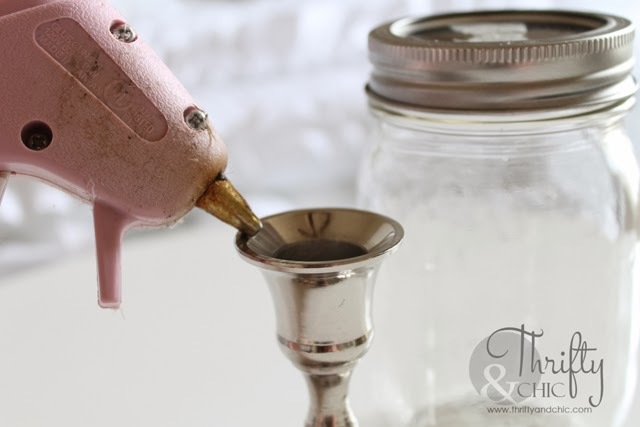 First step: Take your glue gun and shoot the glue around the top rim of the candlestick. 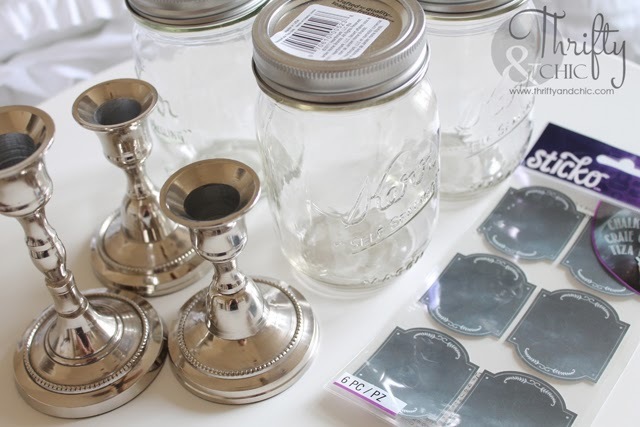 Hurry up and place your mason jar on top of the candlestick, making sure it is centered. 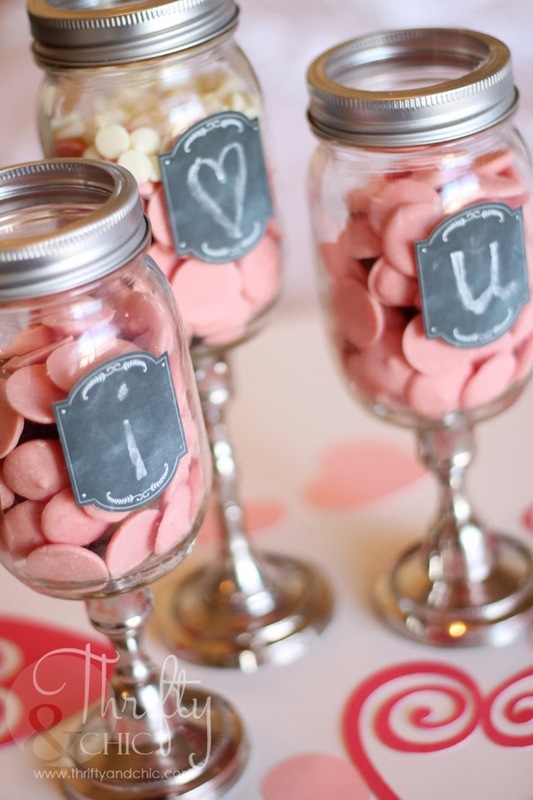 Step two: Take the chalkboard stickers and place them on the mason jar. 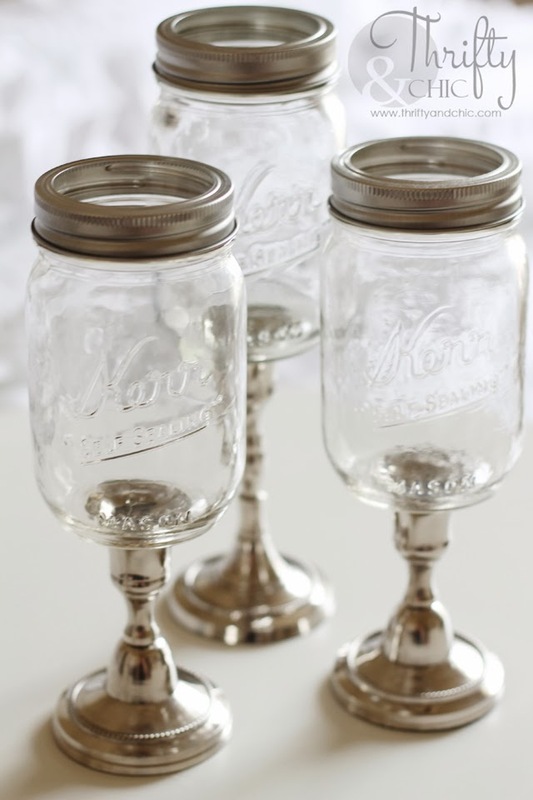 The reason why I say use Kerr and not Ball is because Ball mason jars usually do not have an empty side, it has designs everywhere. 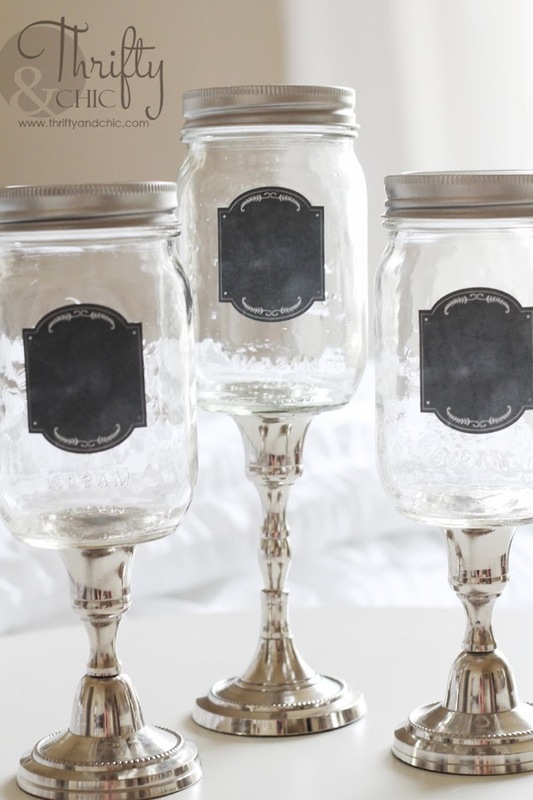 As for the Kerr mason jars, the design is only on one side, so you can place your chalkboard stickers on the opposite side. Now you are pretty much done! Easy, right? I don't think I have ever had a two step project lol. I have one more post coming this week about another fun project I will replicate at the party! Here are the details for the Pinterest Party. It will be Sunday, February 16th, at 1:00pm at the Michaels in Draper, Utah. A Sunday...In Utah...Yes, I know :) But I have high hopes! lol. To join, all you have to do is show up, browse their Pinterest inspired projects, buy your supplies and then join me in the craft room to create your own pin-worthy project! Let me know in the comments if you have questions! If you want to join in on the party, but don't live near me, over 100 other bloggers are throwing a party too! 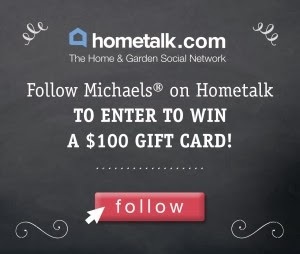 Follow Michael’s on Hometalk to enter to win a $100 Michaels gift card. Five winners will be announced on Hometalk’s FB page on Feb 17, after the party. If you plan on coming out, make sure you print some Michaels coupons before you show up to save some money! 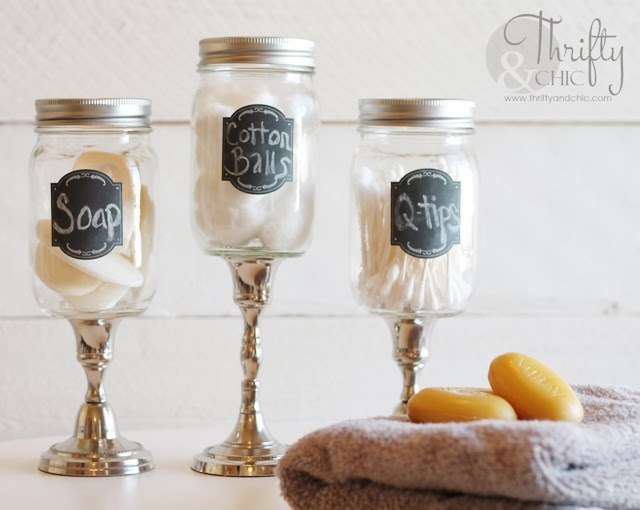 Alicia, I love your spin on the apothecary jars! Super cute and versatile! So adorable! Where did you get the chalkboard stickers? Those were from Michaels too. They have a ton of different designs! I love the new twist to the mason jar! Enjoyed getting to know you + your blog from the Pinterest Party! 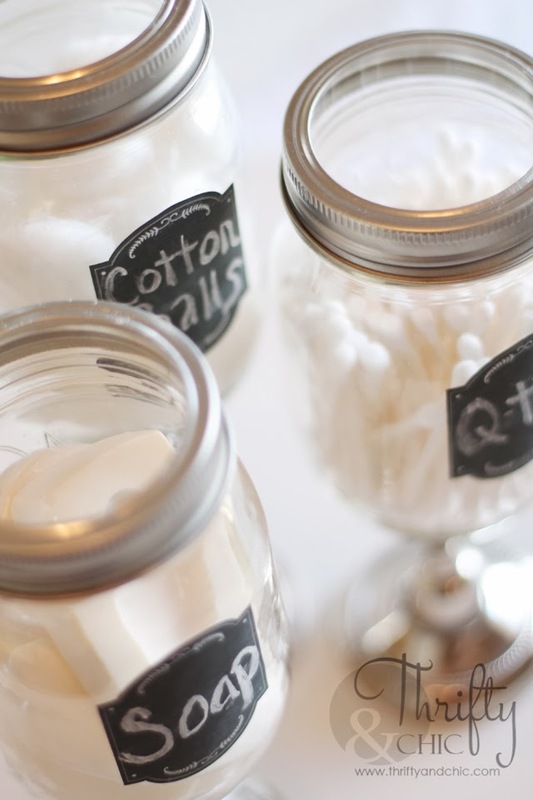 Maybe instead of buying jars... use old spaghetti jars. 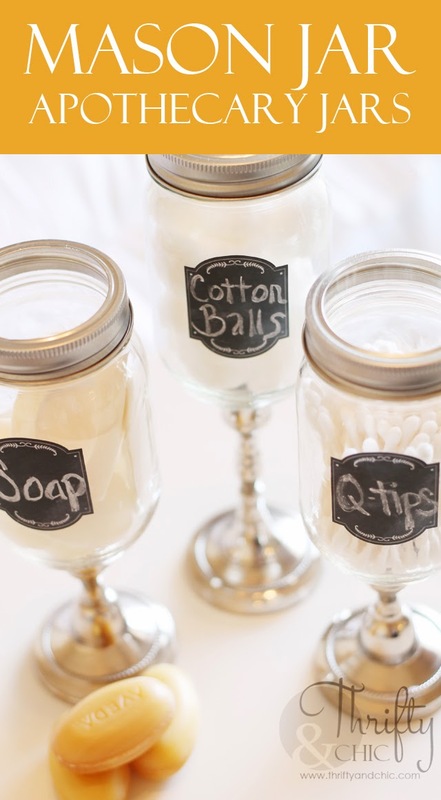 Soak the label off in hot water, wash away any glue residue, then wash and paint the lids. Might be a bit more work, however, you are recycling as well as creating a lovely place to put your small items. Love this project and your blog! Can you please tell me where you found the silver candlesticks? Thanks! The hot glue didn't work at all.